In 1993, John Taylor described how the Federal Reserve could be guided in setting its federal funds rate target by responding to gaps between the actual and desired rates of inflation and real GDP and potential output. Since then this basic rule has been applied across countries and different sample periods and under different assumptions about how various terms in the rule are measured. In general, the evidence appears consistent with the idea that better economic performance is associated with monetary policy based on a rule rather than discretion. One manifestation of this consensus is that Congress has introduced legislation that would compel the Federal Reserve to specify a policy rule and then report on how well the values of the federal funds rate generated by this rule compare with the values generated by a “reference rule” specified by the legislation; the latter is a variant of the Taylor Rule. Our previous essay discussed this pending legislation – the Fed Oversight and Reform (FORM) Act – and noted that mere adoption of a rule does not guarantee desired economic outcomes. Our most recent statistical investigation reinforces this general point: to help the Federal Reserve conduct monetary policy more effectively, Congress also needs to resolve the ambiguities inherent in the current “dual mandate” by taking a stronger stand on the goals it wishes the Fed to achieve. By itself, the Taylor rule calls for the Federal Reserve to change the value of the federal funds rate if inflation deviates from target or output is away from potential. A rule of this form also gives weights to the two objectives, such that each side of the current dual mandate for price stability and maximal employment may be given equal emphasis or, alternatively, that one of these objectives gets special priority. Regardless of how these weights are chosen, a desirable feature of any such rule is that it communicates these weights to the public. Households and businesses can then more easily monitor the actions of the central bank and account for the Fed’s systematic behavior when making their own long-term decisions. What if, however, these weights vary over time, reflecting the central bank’s desire at some point to put greater emphasis on its objective for inflation and, over a different interval, to place greater emphasis on its goal for output and, by implication, unemployment? Shifts of this kind do not seem to be ruled out by the current dual mandate. In fact, our new paper estimates a statistical model that describes Federal Reserve policy by a variant of the Taylor rule that allows for discretionary departures from that rule as well as time-varying coefficients on the rule’s inflation and output gap variable. While we find that the Federal Reserve did depart importantly from rule-like behavior in the aftermath of the 2001 recession, holding rates “too low for too long” as many critics have charged, our results also show that the Fed gradually shifted more weight to its objective for output relative to inflation stability over this same period. In theory, this distinction between changing weights within a rule and persistent deviations from that rule is one that can be sharply made. In practice, however, the difference is unlikely to be so clear-cut. Suppose that the Federal Reserve continues to make periodic changes to the emphasis it places on the two goals prescribed by the dual mandate. The FORM Act leaves unclear how often and by how much the weights in any announced rule could vary to reflect these shifting objectives. Eventually, however, those shifts could become frequent or large enough to make adherence to a “time-varying rule” indistinguishable from a policy based purely on discretion. This issue is relevant because, when the Fed was compelled by the Humphrey-Hawkins Act to report target ranges for money growth, and therefore to follow another type of monetary policy rule, testimony by the Fed Chair frequently explained deviations from the target ranges by appealing to unusual influences on money growth. In addition, as Alfred Broaddus and Marvin Goodfriend found, by deliberately allowing for a process known as “base drift,” the Fed never adjusted its policies to correct for past deviations from target. 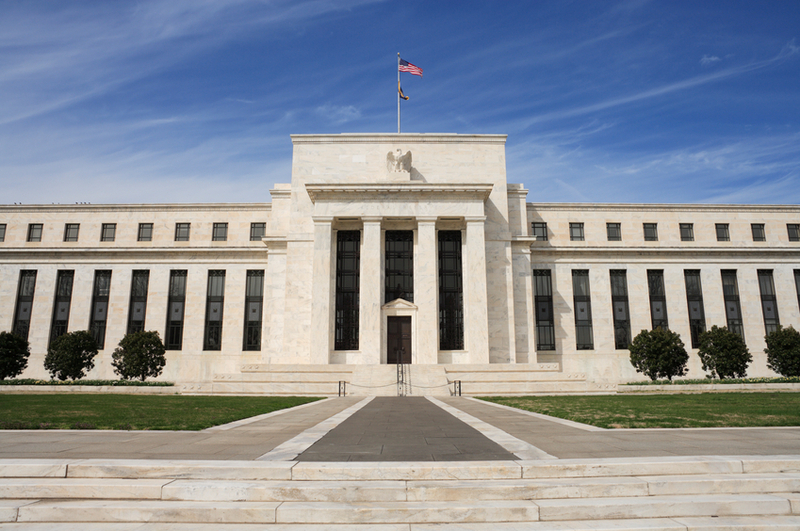 In practice, therefore, the Fed seldom adhered closely to its preannounced rule at all. Predictably, US macroeconomic performance suffered as a result. Thus, while the FORM Act takes a step in the right direction, by asking the Fed to announce and follow a rule, further legislation will likely be needed to clarify what the central bank’s objectives should be and what consequences would follow if the Fed fails to achieve those goals. Otherwise, the FORM Act could meet the same fate as Humphrey-Hawkins: specifying a rule that is too easily broken, and therefore not a “rule” at all.